It is important to retain the services of a good auto accident injury lawyer in Port St. Lucie as soon as possible after the accident occurs, while facts are clear, memory is still reliable, and injuries are obvious. But that elastic clause ‘as soon as possible’ should be understood to mean ‘when the right lawyer can be found’, and not just ‘as fast as someone can be hired’. Having just been through a potentially life-changing accident, you may be immediately faced with another life-changing event – finding highly qualified representation for your personal injury case. As you go through this important process, here are a few things to keep in mind. • Ask about all fees that you will be expected to pay. This includes an initial consultation, any expenses that the lawyer will charge you if he/she is charged by third parties, and how the lawyer’s total fee will be calculated. • Inquire about your prospective lawyer’s thoughts on settling out of court, as opposed to filing a lawsuit. Out of court settlements are generally much less expensive and are concluded much faster. • Try to get a legitimate estimate from any lawyer you consult with about the eventual settlement value of your case. While you may not have the knowledge to gauge whether this is a realistic quote, the estimate may still be useful. You can check online to see what similar cases have settled for, and you can get a legal ‘second opinion’ or even a third opinion from other lawyers as a comparison. This should tell you whether the estimate you’ve gotten is reasonable, or if it’s more like a pie-in-the-sky figure. • Ask your candidate lawyer about how long the case might take to make its way through the court system, if indeed there is a lawsuit involved. Personal injury cases often take quite awhile to resolve, and in the meantime you will likely face some significant medical costs, so you’ll need an idea of how long you have to hold out before being reimbursed. • Regard anything that sounds like a promise of an outcome with distrust – results from auto accidents are never predictable, so no reputable lawyer will be promising you a particular outcome. While it may be difficult to choose the perfect lawyer to represent you, the decision-making process can be made easier knowing that a lawyer is well respected by peers, provides personal service to clients, has more than 25 years of experience in personal injury cases, is known for honesty and ethical conduct, and accepts no fee unless the case is won. 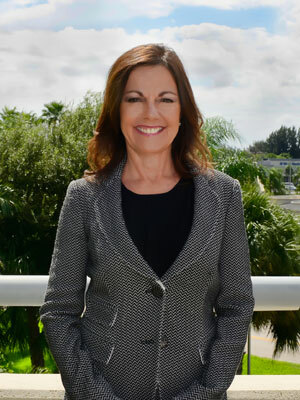 Such a lawyer is Gloria Seidule, who conducts her practice according to her own golden rule – “It’s not just business – it’s personal.” Contact auto accident lawyer Gloria Seidule in Stuart or Port St. Lucie.